Ralph Ellis 'Robin' Brook (190898) was a merchant banker and a member of various committees, especially in the health field. 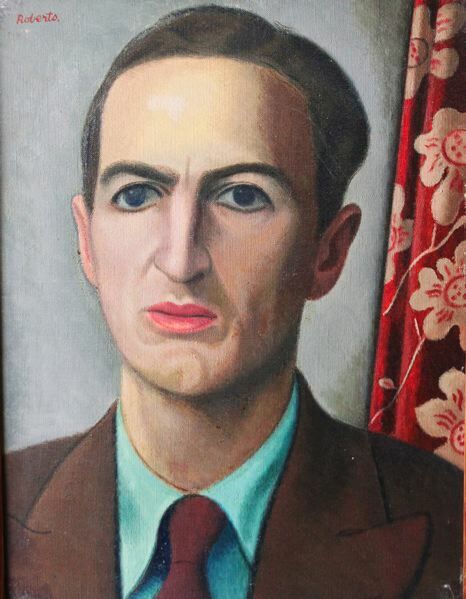 In 1937 he married Helen Knewstub (190797)  eldest daughter of John Knewstub, founder of the Chenil Galleries, and a friend of Sarah Roberts  who in 1963 founded the Brook Advisory Centres for family planning, and during the Second World War he served in the Special Operations Executive. He was knighted in 1974. This portrait was so disliked by both the Brooks that they cut back on the payment to WR.